- Available in varied Stroke Lengths from 150mm. to 450mm. 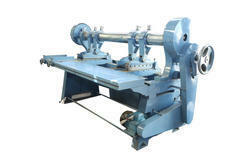 - Each machine fitted with Rotary Table of suitable Diameter and provided with Indexing device. - Completely Auto functional with one start. Available with us, is high grade Light Slot Brass component Machine that is highly reckoned for its sturdy construction, spontaneous functional ability and optimum durability. Manufactured using high grade raw material and components. These are used in Non-Ferrous metals slotiing . Empowered by a technologically-advanced infrastructural facility, we bring forth a premium quality range of Slotting Machines. It is well-known for features like sturdy construction, durable finish standards, excellent functionality and longer service life. 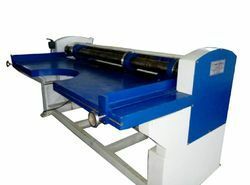 It is smoothly finished to ensure even impression of the boards after lamination. Automatic Screw Slotting Machine Type BIC are improved in design, simple in operation and trouble-free performance. The slots and true, clean, deep and curved at bottom. - Rapid to all Slides. In accordance with our continious improvement, we reserve the right to change the specifications without any notice.